There’s a lot of incorrect college admissions information out there. One example of this is the notion that well-rounded students have an advantage in the highly selective college admissions process. This is patently incorrect, and we’re glad that a host of high school guidance counselors, private college counselors, and college admissions counselors have corrected this notion over the years. Now, many parents and students know that it is the student with a distinct talent — rather than the well-rounded student — who stands out in the highly selective college admissions process. But there are still so many inaccuracies about the college admissions process floating around and it’s a self-fulfilling prophecy. If a few people put forward incorrect information, a few more then perpetuate it. Our college admissions blog at Ivy Coach offers college admissions information to students and parents alike. We aim to demystify this process and share some important insights with you. 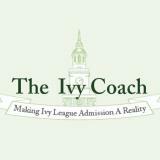 Our college admissions blog at Ivy Coach has over a thousand posts about college admissions. We have a post for every day — including weekends and holidays. We post at the height of the college admissions season and we post throughout the year as well. We’ll often cite articles about college admissions and follow that up with our opinions on some of the things said. Our aim is to demystify the college admissions process to parents and students alike. We’ll debunk myths. We’ll make the whole process a lot more transparent. Some parents have told us that they print out our blogs — all of them — and put them in a binder. Hi, Mitt Romney. No, not that kind of binder. A binder full of college admissions blogs. If you happen to read each and every one of our blogs, some major points about the highly selective college admissions process have probably been nailed into your head by now. If we repeat some major points from time to time it’s because these points are that important. And also keep in mind that there’s a whole lot we don’t write about on our college admissions blog because, after all, we’re a business. Is there a topic related to college admissions that you’d like us to write about in the future? If so, post the topic below and we’ll aim to shed some light on it for you. If you’re a high school guidance counselor, an education writer, or a college admissions counselor, we’re also very welcoming of guest posts on our blog. So send us an email if you’d like to write a post for our audience.